The Chennai Kings Super Kings’ fans are extremely disappointed. Reason? 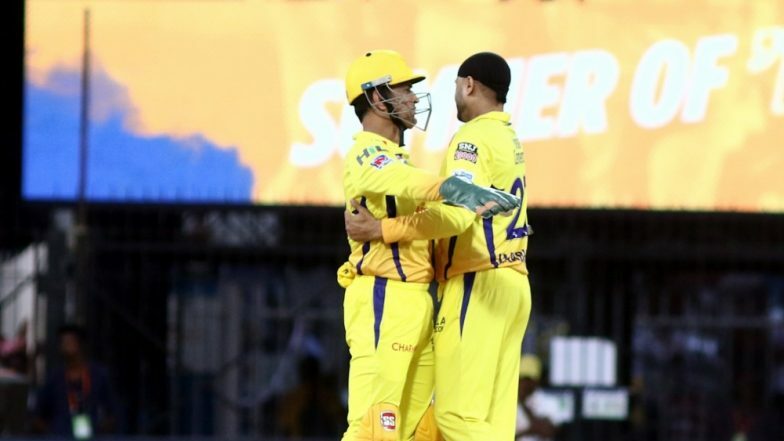 The security guards of the Rajiv Gandhi International Stadium are not allowing the fans to carry CSK flags and MS Dhoni posters in the stadium during their game against the Sunrisers Hyderabad of the IPL 2019. According to the netizens, many CSK fans were asked to leave the stadium and a few fans were asked to throw away the yellow flag and were handed the Orange flag instead. This surely has not gone down well with the CSK fans in Hyderabad. SRH vs CSK, IPL 2019, Hyderabad Weather & Pitch Report: Here's How the Weather Will Behave for Indian Premier League 12's Match Between Sunrisers Hyderabad vs Chennai Super Kings. A few netizens posted tweets and even made a video out of it. “Hearing Crazy updates from stadium gates in Hyd. Sorry @SunRisers this is not done. Dhoni posters are not allowed, many fans are asked to leave #CSK @ChennaiIPL flags aside & they are thrown on side, whereas fans can take SRH flags. When asked some security says IMG instructions,” read tweet. But this is really disappointing maintenance by the @SunRisers . No CSK flags are allowed into the stadium. The two teams are meeting locking horns with each other for the 33rd game of the IPL 2019. Looks like the CSK management is trying its level best to resolve the issue. Meanwhile, you can check out the live updates of the game here.